Making decent revenue from domain parking can be a difficult task for the average domainer these days. Basically, if your portfolio isn’t rather large or you don’t have some really high-traffic names in it then you can expect to see modest earnings which might not even cover renewal fees at the end of the year. With search engines constantly expanding and domain parking networks not working for some, more people are turning to development instead. At this day in age developing your domains isn’t as difficult as it once was. Below I’m going to layout three different systems you can use to make developing more of your domains simple. I’m also going to list a number of different ways you can start earning more revenue from those developed names! WordPress – If you’ve spent a few hours surfing the internet at one time or another then you’ve probably visited a WordPress website before. WordPress has quickly become the number one option for developing websites and it’s mainly because of how user-friendly the system is. You don’t need deep coding knowledge to setup and run a WordPress site. In fact, all you need to do is buy some web hosting and install it. Many web hosting companies even have a tool that will automatically install WordPress for you! Once you’ve got WordPress installed you can begin to browse the community for themes and plugins which can be used to customize your site. Easily find thousands of helpful articles and videos across the web which can help you setup your website, fix issues, and more. If you don’t have much coding knowledge and want to get your domains developed quickly then WordPress is a fantastic option! Wix – Unlike the WordPress system which users must install and configure, Wix is a completely web-based solution where users can easily build new sites using their simple builder. Signup at Wix and point your nameservers to their website. Then, begin designing your website by choosing a theme and using their website building to customize it. Wix doesn’t give you the freedom to view files, edit/customize lots of code and do other things that WordPress does. However, you don’t need to go out and buy hosting to use Wix and for those who might consider themselves really novice at website design Wix is probably the best choice. Joomla – Similar to Wordpess, Joomla is a content management system that requires you to download it and install/configure it on your web host. Much like its counterpart, Joomla gives you the ability to view files and customize them. There are also several plugins and themes available for you to choose from and use. However, since WordPress has become so big and popular, there aren’t many new things happening with Joomla. If you’ve used them in the past you may find yourself more comfortable with this system. However, those starting out for the first time should consider going straight to WordPress instead. Adsense – Owned and operated by Google, Adsense is the biggest and highest paying pay-per click option out there. 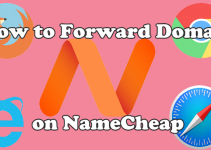 Domains in high paying niches have turned out huge numbers in the past, paying as much as $100+ per click in some niches. 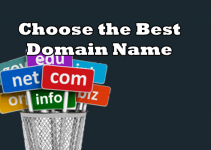 The idea behind developing your domains is to make more money than you would parking them. Making more money requires using the best possible ad networks to ensure you’re making the most for every click and impression you generate. I recommend using either Adsense or Media.net to accomplish this. Both sites are owned by large companies and have a huge advertiser base that assures you’ll be earning maximum revenue for your clicks. Affiliate – The key to making the most from your developed domains is monetizing them in more than one way. With domain parking you only earn money from one thing – clicks. The story changes when it comes to development. You can have something like Adsense on there which is also going to pay for clicks (along with impressions). You can then also have affiliate banners and other monetization features to earn even more. Amazon, MaxBounty and ClickBank are a few great affiliate networks you can signup with and begin promoting. All have thousands of advertisers with great converting banners you can place around your website and use to generate additional revenue. Popunders/Push Notifications – Going along with what I just mentioned in the affiliate section, both pop unders and push notifications are other monetizing methods you can utilize. Both of these offer the ability to earn from the same traffic you’re getting and earning money via Adsense and Affiliate banners with. Best of all, these both show up outside of your actual website. Therefor, users will see your pop under and push notification windows before they see the additional ads shown on your website. PropellerAds is one legitimate network you can join to access both of these monetization options!